Hi there, my darlings! This afternoon, I'd like to share with you all a fun, new, AFFORDABLE mani sub box that's just hit the market from Scratch, the makers of quality, nail artist-designed nail wraps. If you're like me and love subscription boxes, that too at a pretty good deal. you'll really like this one! 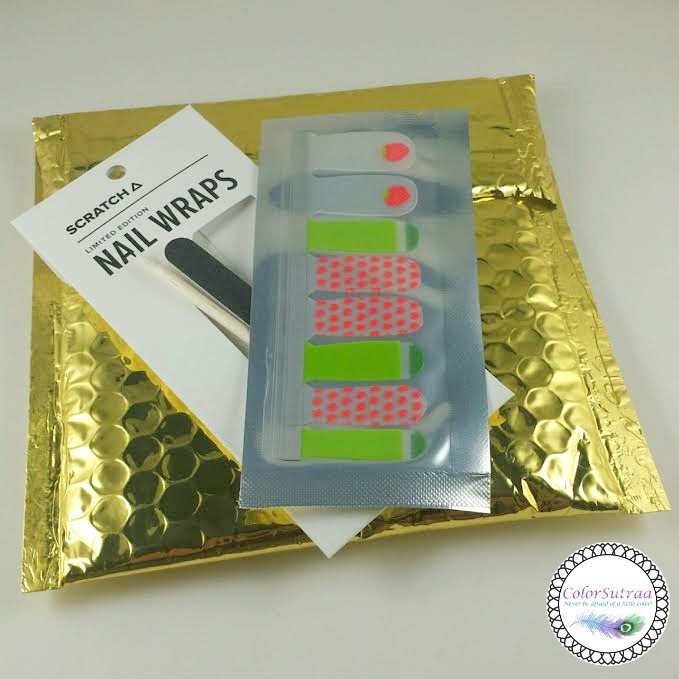 Each month, the Monthly Mani Kit includes a special, often limited-edition set of nail wraps (you can choose your favorite of the 3 offered each month) plus some fun extras for $10 a month! Domestic shipping within the US is $2.95 and international shipping is $4.95.Today, I'll be sharing with you all May 2015's Monthly Mani Kit. 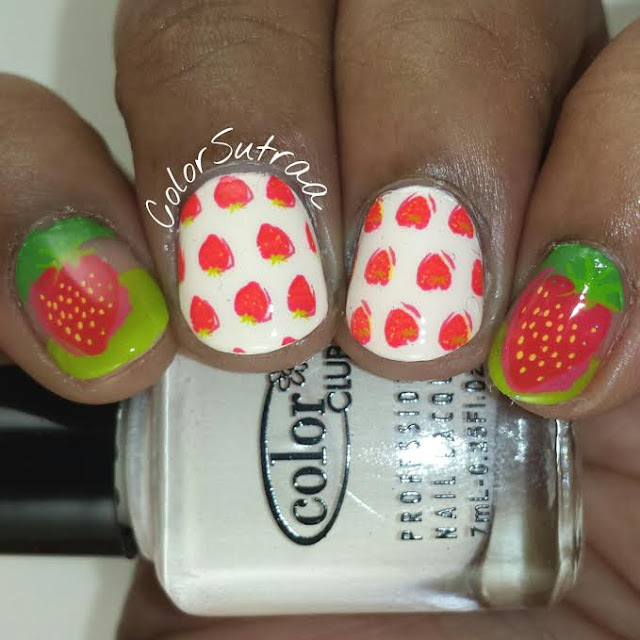 One of May's themes was Strawberry Fields, which included the cute, limited-edition strawberry nail wraps shown above. 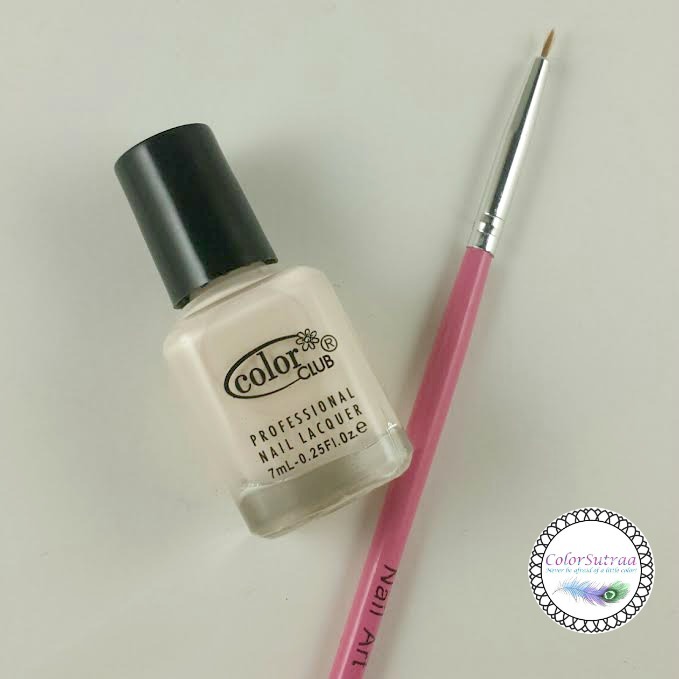 The extras included a mini Color Club Nail Lacquer and a nail art brush. Here's the easy, super adorable mani I created with the wraps (the base for my middle and ring fingers is the included Color Club)! Nail art in a snap! How cute are these?! What are your current favorite subscription boxes? Is this one you would love to try? I'd love to hear from you in the comments section below!